Marianne Williamson was in her mid-twenties, a laid-back product of the hippie generation, when she made a discovery that changed her life.In 1965, Helen Schucman, a professor of medical psychology at Columbia University, had started transcribing a 'voice'. The result was the massive A Course in Miracles, a self-study psycho-spiritual philosophy based on love and forgiveness that gave birth to discussion groups around the world. Williamson's full embrace of the Course led her to give talks and lectures on it, which eventually resulted in the publication of A Return To Love. As a masterful summation of the Course the book is worth reading, but it is the passionate baring of the author's soul and spiritual awakening that pulls in readers. Initially, it was Oprah Winfrey's liking of the book that helped project it to the top of the New York Times bestseller list, where it spent over six months. A recent revised addition notes sales of over a million copies. In Chapter 1 Williamson tells of the nervous breakdown which brought a total re-orientation of her life. She had always considered herself a fighter - for causes or against injustice - and even liberation from her demons was seen as a forceful 'breaking free'. But as her breakdown progressed and then slowly lifted, she discovered that freedom is more like a melting into one's real nature and personality. This part of her story is captivating, given her previous skepticism and unwillingness to give up anything of herself. Yet that struggle between the ego and purer, real self gives the book its pull. Only in getting as low as she did was she willing to try anything, in this case a spiritual surrender. The ego loves great highs, Williamson says, but also manufactures calamities, and we are brought up to expect that events and circumstances can make or break our sense of well-being. The enlightened person, however, sees that their internal state determines how they see the external things. Things happen to them, too, but without the fear and gravity attached. When we have internal security, she says, thrills abound, but they are of a different type; there is the thrill of perceiving the world clearly, without our normal emotional baggage. There are still dramas and crises, but they all contribute to personal growth; we have left behind the 'cheap drama' of a non-spiritual life. A major part of A Return To Love is devoted to relationships. You may find yourself going back to this section again and again, if only to remember the person you could be. It should strike chords in anyone, particularly the fine distinctions made about 'special' or ego relationships, and 'holy' ones. The ego is characterized as 'the great fault-finder'. But criticism only increases the insecurity of the other person, making them even less likely to change. Unconditional love may be a hard thing to cultivate, but it brings rich rewards, being the only way we stay at peace with ourselves. According to the Course, relationships are assignments, each one providing us with the maximum opportunity for growth. This means that the romantic idea we have of a soul mate is incorrect, as our true soul mate may be the person who pushes all our buttons and makes us grow by learning how to be patient and humble, and to love more. The ego may just lead us to people who will give us the least problems and the most obvious pleasure, seductively pulling us away from the possibility of holy relationships. Williamson is happy talking about her own relationships, and we can easily relate to the tales of heartbreak and angst she recounts, of the longing for a special person to makes things right. We keep turning the page because it seems this is our life she is talking about, asking the questions we ask. The answers though, are often not what we expect. A Return To Love is equally interesting about work. We always talk about our career, our job, our pay. By our own efforts, we carve out a working life according to what interests us or how much we'd like to earn. The book says this is not the route to real success. By offering our working life to God, God will reveal to us precisely that which will best suit our talents and temperament, and the way in which we can help the world the most. What we create by own will might be good, but genius only happens when we become cleaner instruments for divine expression. We are not so much afraid of failure, but of the brilliance that might shine through us if we allow it to. With this mentality, we can no longer be slaves for the money. Goal-setting is all very well, but it is the prime example of the ego trying to shape the world according to its pleasing. 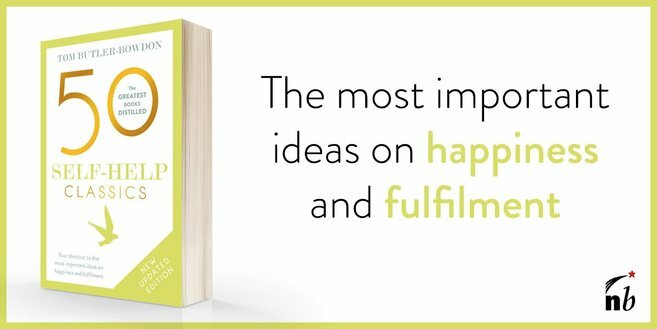 Because our minds are so powerful, we usually can accomplish any goals we set, but whether happiness ensues from their meeting is never certain. With God's work, we're not only ecstatic to achieve the goals set before us, we're happy just enjoying the journey. As the Course says, 'As we spread love, we climb naturally.' That will not be taught in any MBA programs, but be courageous enough test it for yourself. Williamson says that we can't go wrong, because trust in God is like 'trusting gravity'. Personal development is usually about how we can engineer ourselves into better ways of acting and thinking; it seems to involve a lot of responsibility. Yet if we have surrendered ourselves to the beneficence of the universe, or to God, suddenly it's not so hard. Williamson says she used to put miracles in the 'pseudo-mystical-religious garbage category'. She later realized that it is in fact reasonable to ask for them. A miracle does not have to mean turning water into wine. It is simply the occurrence of anything that was previously considered impossible. When we decide to have a certain openness of mind and are committed to change, anything that seems beyond us can be offered up for transformation. If it is not an ego want but a genuine part of that transformative frame of mind, the miracle will happen. Where once we saw our partner as guilty on a number of counts, today we see their innocence, and treat them accordingly. Where we had an addiction, fuelled by fear and self-hate, today that hole is filled up. The title 'A Course In Miracles' is catchy because it is contradictory, combining something mundane (a course) with something divine. It promises not the usual human-divine relationship but a co-creating partnership. Remember that when Jesus performed his miracles, he told the disbelieving gathered around him that 'they, too, could do what he did' - and even better than him. The Church may define a miracle as a physical happening that cannot be explained in any normal way, but this definition prevents the rest of us from knowing that miracles can happen through us. It is sad, Williamson remarks, that we so willingly give up power. With the strong Eastern influence in self-help writing, the Christian stance of A Return to Love stands out, but it is best seen as a spiritual work that happens to use the Christian terminology of the Course. Williamson is quick to admit that all ideas about God are expressions of a single reality (she herself has a Jewish background), and that people do not have to consider they have a personal relationship to 'God' to be an advanced Course student. Its students proceed according to how they treat other people. While at first glance A Return To Love may seem like a baby boomer's indulgent search for the self, it is for the most part a beautiful summarization of A Course In Miracles, carrying its authority and timelessness. It is a spiritual self-help classic of great practical worth. "I didn't know, until reading A Course in Miracles, that a miracle is a reasonable thing to ask for. I didn't know that a miracle is just a shift in perception." "Love taken seriously is a radical outlook, a major departure from the psychological orientation that rules the world. It is threatening not because it is a small idea, but because it is so huge." Williamson grew up in Houston, Texas, the child of left-wing lawyers. When she was only 13 her father took her to Vietnam to see the 'military-industrial complex' in action. She spent two years at Pomona College in California, majoring in philosophy and theatre, and in the ensuing years, by her own account, led a very laid-back existence. She began giving lectures on the Course in 1983, and from 1987-89, founded the Los Angeles and Manhattan Centers for Living, non-profit organisations for people with AIDS and other illnesses. A Woman's Worth (1994) was also a bestseller, followed by Illuminata , a book of prayers and meditations. Enchanted Love is an exploration of 'holy relationships', blending Christianity, myth and goddess studies, and feminism.The Healing of America is a blueprint for America's political rejuvenation via a spiritually tuned-in citizenry.